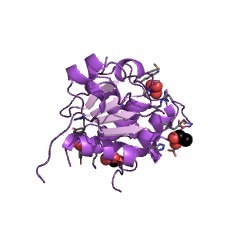 Tyrosine specific protein phosphatases (PTPases) contain two conserved cysteines, the second one has been shown to be absolutely required for activity. 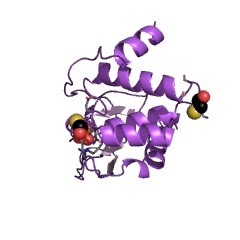 This entry represents the PTPase domain that centre on the active site cysteine. A number of conserved residues in its immediate vicinity have also been shown to be important. 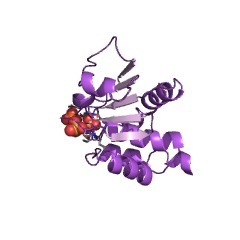 This domain can be found in dual specificity phosphatases. 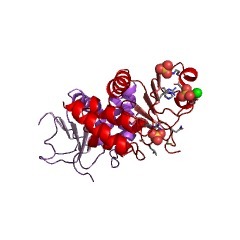 Dual specificity phosphatases (DUSPs) are members of the superfamily of protein tyrosine phosphatases [(PUBMED:17057753), (PUBMED:15186772)]. They remove the phosphate group from both phospho-tyrosine and phospho-serine/threonine residues. 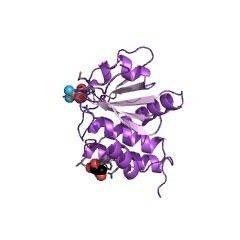 They are structurally similar to tyrosine-specific phosphatases but with a shallower active site cleft and a distinctive active site signature motif, HCxxGxxR [(PUBMED:8987394),(PUBMED:7961745),(PUBMED:8154323)]. They are characterized as VHR- [(PUBMED:9571625),(PUBMED:8650541)] or Cdc25-like [(PUBMED:7601801),(PUBMED:8701088)]. There are 17170 DSPc domains in 17099 proteins in SMART's nrdb database. Taxonomic distribution of proteins containing DSPc domain. This tree includes only several representative species. 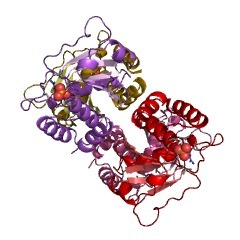 The complete taxonomic breakdown of all proteins with DSPc domain is also avaliable. 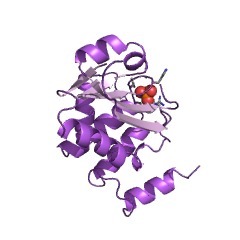 Click on the protein counts, or double click on taxonomic names to display all proteins containing DSPc domain in the selected taxonomic class. The PPS1 gene of Saccharomyces cerevisiae codes for a dual specificity protein phosphatase with a role in the DNA synthesis phase of the cell cycle. We report the identification of the PPS1 gene of Saccharomyces cerevisiae. 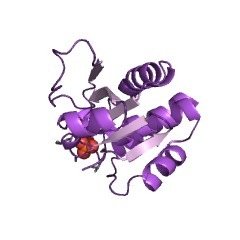 The deduced amino acid sequence of PPS1p shows similarity with protein-tyrosine phosphatases (PTPases) and is most closely related to a subfamily of PTPases that are capable of dephosphorylating phosphoseryl and phosphothreonyl residues as well as phosphotyrosyl residues. 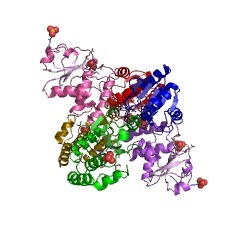 Analysis of the predicted amino acid sequence suggests that the protein consists of an active phosphatase domain, an inactive phosphatase-like domain, and an NH2-terminal extension. 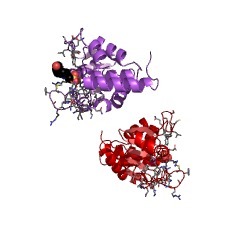 Mutation of the catalytic cysteinyl residue in the active phosphatase domain reduced the in vitro activity of the mutant protein to less than 0.5% of wild type activity, while mutation of the corresponding cysteinyl residue of the inactive phosphatase-like domain had no effect on in vitro activity. 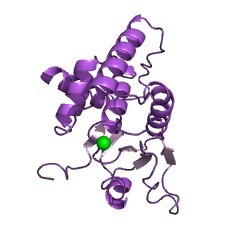 The PPS1 protein was expressed in Escherichia coli, and the protein was shown to catalyze the hydrolysis of p-nitrophenyl phosphate, dephosphorylate phosphotyrosyl, and phosphothreonyl residues in synthetic diphosphorylated peptides and to inactivate the human ERK1 protein. PPS1 transcript abundance is coregulated with that of the divergently transcribed DPB3 gene, which codes for a subunit of DNA polymerase II, with both transcripts showing peak abundance in S phase. pps1Delta mutant strains did not differ from PPS1 strains under any of the conditions tested, but overexpression of the PPS1 protein in S. cerevisiae led to synchronous growth arrest and to aberrant DNA synthesis. A screen for suppressors of this growth arrest identified the RAS2 gene as a multicopy suppressor of the PPS1p overexpression arrest. 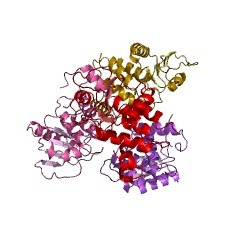 The arrest was not suppressed by the presence of multicopy RAS1, TPK2, or TPK3 genes or by the presence of 5 mM cAMP in the growth medium, suggesting that PPS1 functions in a pathway involving RAS2, but not TPK kinases or adenylate cyclase. 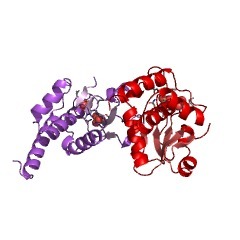 Crystal structure of the dual specificity protein phosphatase VHR. Dual specificity protein phosphatases (DSPs) regulate mitogenic signal transduction and control the cell cycle. 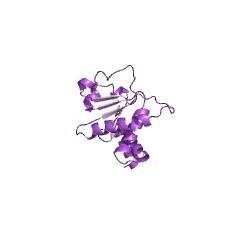 Here, the crystal structure of a human DSP, vaccinia H1-related phosphatase (or VHR), was determined at 2.1 angstrom resolution. 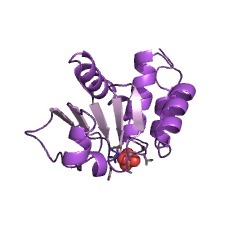 A shallow active site pocket in VHR allows for the hydrolysis of phosphorylated serine, threonine, or tyrosine protein residues, whereas the deeper active site of protein tyrosine phosphatases (PTPs) restricts substrate specificity to only phosphotyrosine. 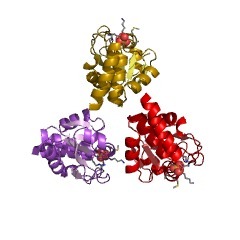 Positively charged crevices near the active site may explain the enzyme's preference for substrates with two phosphorylated residues. 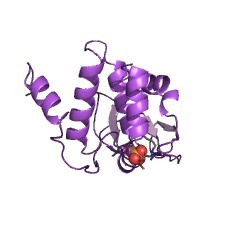 The VHR structure defines a conserved structural scaffold for both DSPs and PTPs. 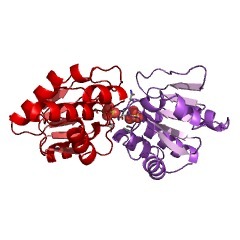 A "recognition region," connecting helix alpha1 to strand beta1, may determine differences in substrate specificity between VHR, the PTPs, and other DSPs. 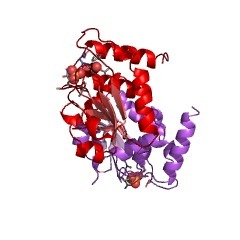 PAC-1: a mitogen-induced nuclear protein tyrosine phosphatase. 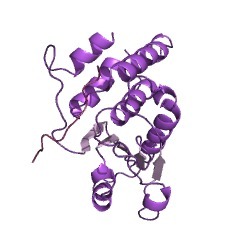 Tyrosine phosphorylation of proteins is required for signal transduction in cells and for growth regulation. 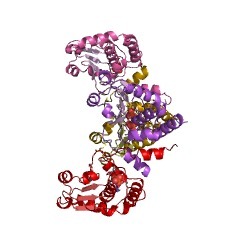 A mitogen-induced gene (PAC-1) has been cloned from human T cells and encodes a 32-kilodalton protein that contains a sequence that defines the enzymatic site of known protein phosphotyrosine phosphatases (PTPases). 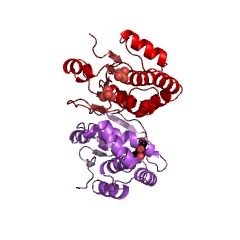 Other than this sequence, PAC-1 is different from several other known related PTPases exemplified by PTP-1b. PAC-1 is similar to a phosphatase induced by mitogens or heat shock in fibroblasts, a yeast gene, and a vaccinia virus-encoded serine-tyrosine phosphatase (VH1). PAC-1 was predominantly expressed in hematopoietic tissues and localized to the nucleus in transfected COS-7 cells and in mitogen-stimulated T cells. Mitogenic stimulation of cells induces rapid and transient activation of MAP kinases. Here we report that a growth factor-inducible gene, 3CH134, encodes a dual specificity phosphatase that dephosphorylates and inactivates p42MAPK both in vitro and in vivo. 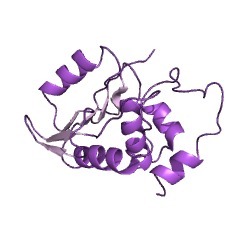 In vitro, 3CH134 protein dephosphorylates both T183 and Y185 in p42MAPK. In serum-stimulated normal fibroblasts, the kinetics of inactivation of p42MAPK coincides with the appearance of newly synthesized 3CH134 protein, and the protein synthesis inhibitor cycloheximide leads to persistent activation of MAP kinase. 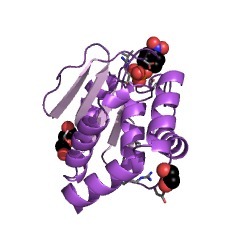 Expression of 3CH134 in COS cells leads to selective dephosphorylation of p42MAPK from the spectrum of phosphotyrosyl proteins. 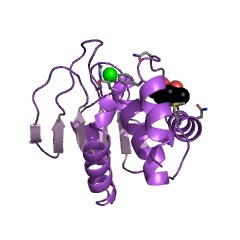 3CH134 blocks phosphorylation and activation of p42MAPK mediated by serum, oncogenic Ras, or activated Raf, whereas the catalytically inactive mutant of the phosphatase, Cys-258-->Ser, augments MAP kinase phosphorylation under similar conditions. 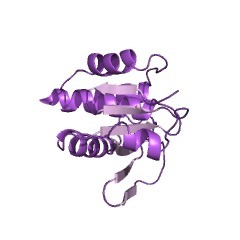 The mutant 3CH134 protein also forms a physical complex with the phosphorylated form of p42MAPK. 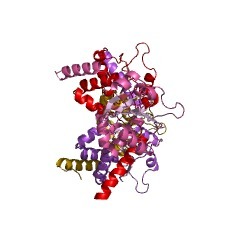 These findings suggest that 3CH134 is a physiological MAP kinase phosphatase; we propose the name MKP-1 for this phosphatase. Reactive oxygen species have been implicated both in the ageing process and in degenerative diseases, including arthritis and cancer. 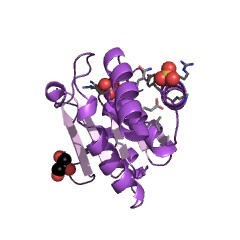 Bacteria adapt to the lethal effects of oxidants such as hydrogen peroxide by inducing the expression of protective stress genes. Analogous responses have been identified in human cells. 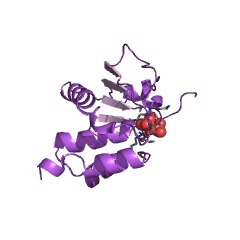 For example, haem oxygenase is a major stress protein in human cells treated with oxidants, and reactive oxygen intermediates activate NF-kappa B, a transcriptional regulator of genes involved in inflammatory and acute-phase responses. We report here the isolation and characterization of a novel complementary DNA (CL100) corresponding to a messenger RNA that is highly inducible by oxidative stress and heat shock in human skin cells. 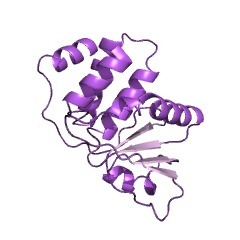 The cDNA contains an open reading frame specifying a protein of M(r) 39.3K with the structural features of a non-receptor-type protein-tyrosine phosphatase and which has significant amino-acid sequence similarity to a Tyr/Ser-protein phosphatase encoded by the late gene H1 of vaccinia virus. 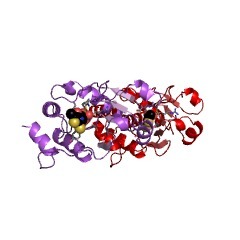 The purified protein encoded by the CL100 open reading frame expressed in bacteria has intrinsic phosphatase activity. 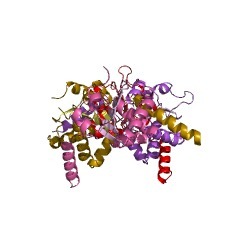 Given the relationship between the levels of protein-tyrosine phosphorylation, receptor activity, cellular proliferation and cell-cycle control, the induction of this gene may play an important regulatory role in the human cellular response to environmental stress. 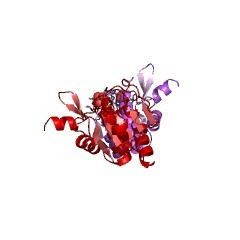 A Tyr/Ser protein phosphatase encoded by vaccinia virus. 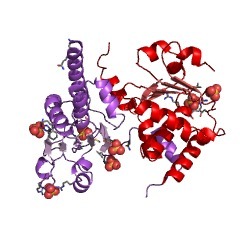 Protein tyrosine phosphorylation is associated with alterations in receptor activity, cellular proliferation and modulation of the cell cycle. 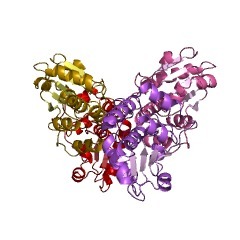 Inappropriate tyrosine phosphorylation can lead to unrestrained cell growth and oncogenesis. 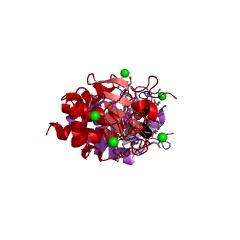 Enzymes important in tyrosine dephosphorylation have also been described. 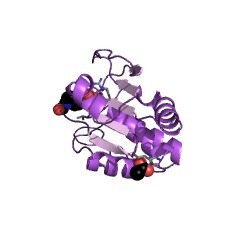 Protein tyrosine phosphatases (PTPases) consist of two families. 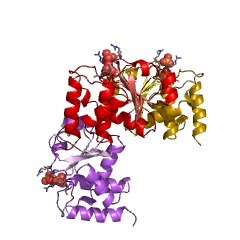 There is a receptor-like family of PTPases with an extracellular domain, transmembrane-spanning region and typically two repeated phosphatase domains. 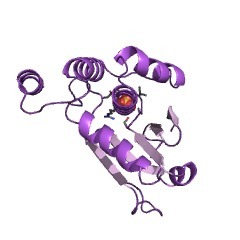 Proteins of the non-receptor-like family have a single catalytic phosphatase domain, show a substrate specificity for Tyr phosphate and will not hydrolyse Ser or Thr phosphate. Here we report that the vaccinia virus genome contains an open reading frame which shares amino-acid sequence identity with the PTPases. 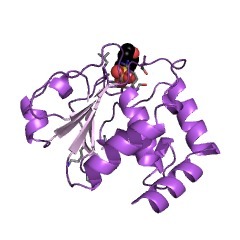 The purified protein encoded by the vaccinia virus H1 open reading frame expressed in bacteria hydrolyses substrates containing phosphotyrosine and phosphoserine. 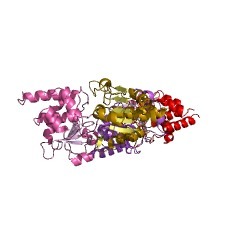 Mutagenesis of an essential Cys in the vaccinia phosphatase abolishes catalytic activity directed towards both substrates, suggesting that hydrolysis proceeds by a common mechanism. 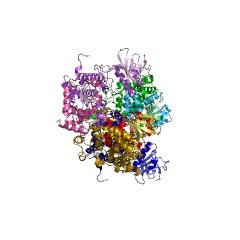 Understanding the function of the H1-encoded protein will help to define the role of the phosphatase in viral replication and pathogenesis. This information is based on mapping of SMART genomic protein database to KEGG orthologous groups. Percentage points are related to the number of proteins with DSPc domain which could be assigned to a KEGG orthologous group, and not all proteins containing DSPc domain. Please note that proteins can be included in multiple pathways, ie. the numbers above will not always add up to 100%.